Personal Injury Lawyer in an Auto Accident or Motorcycle Accident Case? 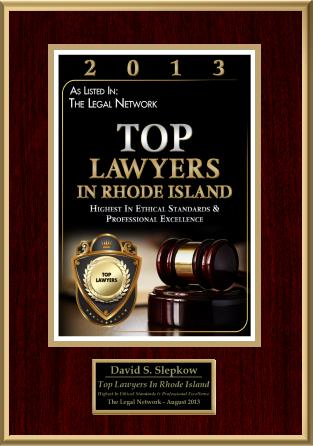 Please contact Rhode Island Personal Injury Attorney, David Slepkow at 401-437-1100 or email him at Email Rhode Island Personal Injury Attorney. This Personal Injury and Motorcycle Accident article was authored by David L. Greene. If you are seriously injured in an automobile accident you will need the services of an attorney to obtain a compensation that is yours by right. It is unlikely that you will be able to negotiate a fair settlement from the insurance company unless you know the monetary value of your injuries. A competent personal injury attorney will know which experts are needed to prove your claim and can provide them at no out of pocket expense to you. If you do not have health insurance and you would like referrals to top doctors who will not make you pay out-of-pocket for good medical care, call an experienced personal injury attorney in your area who will probably be able to make this happen. Also if you are not a detail person or are too busy to contact witnesses, keep a diary or follow other guidelines in a cautious manner, you should consult with a lawyer specializing in your type of case. If your injury case is complicated, you are more likely to have trouble pursuing it on your own. You will probably only have this happen to you once in your life, and the insurance company knows it. The insurance companies and their attorneys do this hundreds of times every day, which can unfortunately give them a big advantage. If your case involves negligence by city, county, state, or other government agency, handling matters by yourself and protecting your rights is extremely difficult due to the amount of red tape. If you start having trouble at the insurance company and you are handling matters by yourself, such as they will not return your calls, will not provide you with a rental car, will not put offers in writing, etc., it is time to get an experience personal injury attorney working for you. Hiring an injury attorney does not mean that your case is going to end up in a court room. In fact over 85% of personal injury cases due to an automobile accident get settled out of the court room. If you do not have any money one of the big concerns is whether not you’ll have to pay for legal fees upfront. 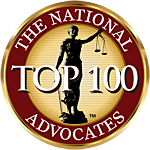 By and large in United States, most personal injury attorneys do not charge upfront fees for taking on a personal injury case. Most attorneys work on a percentage basis which means that the firm gets paid only at the end of your case at of the final settlement. If the firm doesn’t collect any money on your behalf. You would not owe any money to the firm. This system works very well as it makes injury attorneys truly want to win a good settlement for you and to resolve your case as soon as is reasonably possible. After repair bills to your vehicle, and any advanced medical care cost has been paid, the remainder is given to you as a cash settlement. Since this money reimburses you for your injuries, pain, and suffering, is nontaxable except for money received for lost wages. If you currently have a PI attorney and you are concerned that person is not handling your case satisfactorily there are options. If you’re actually not happy with your representation, you should seek a second opinion. These opinions at reputable PI firms should not cost you anything. If your lawyer seems to be taking a long time to settle, but you cannot agree what a fair settlement is, talking to another lawyer may be in your best interest. The personal injury Law Offices of RJ Hurwitz help Arizona injury victims and their families obtain justice while restoring dignity. 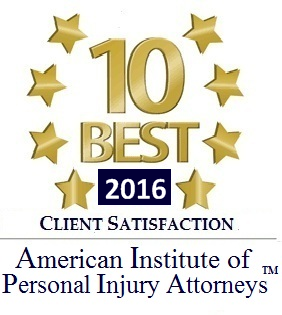 The practice offers top notch Phoenix personal injury attorneys and Phoenix motorcycle accident attorney. Call 866-500-3232 for your FREE consultation TODAY!